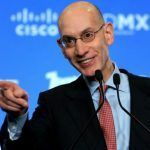 The NBA told the New York Senate Committee on Racing, Gaming, and Wagering yesterday that if the state legalizes sports betting, the league would demand a one percent cut on each bet placed on its games. Appearing in the Albany capital, NBA attorney Dan Spillane testified that the one percent fee would be used to implement safeguards to protect the integrity of the professional basketball league. A recent Indiana bill to legalize sports betting included such a provision. 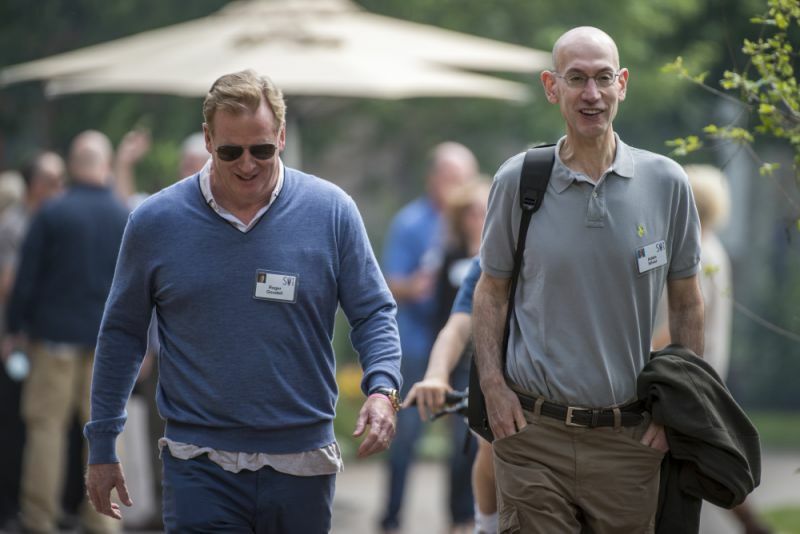 NBA Commissioner Adam Silver has been the leading voice of the Big Four leagues (NFL, MLB, NBA, NHL) in advocating for sports gambling. NFL Commissioner Roger Goodell remains adamantly opposed, while the two other leagues have seemingly moved towards favoring legalization. The NBA demanding one percent of sportsbooks’ total handle naturally didn’t sit well with casinos, nor the gaming industry. 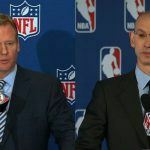 The American Gaming Association (AGA) released a statement saying that while it was pleased to have the NBA’s ongoing support in removing the current federal sports betting ban, the one percent “integrity fee” skims from casinos and reduces the amount of taxes paid to state and local governments. The US Supreme Court is expected to soon issue its ruling on the Professional and Amateur Sports Protection Act (PASPA), the federal ban passed in 1992 that’s being challenged by the State of New Jersey. Garden State lawmakers argue the law violates the US Constitution, and during the December hearing, many in the courtroom believed a majority of the nine justices might agree. Nevada, the only state that takes full advantage of its PASPA immunity, took in $4.5 billion in wagers in 2016. When final numbers for 2017 are released, that number is expected to eclipse the $5 billion mark for the first time. The Nevada Gaming Control Board breaks down sports pool wins by sport, but doesn’t divulge total handle numbers. 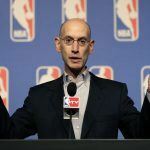 The NBA is looking to take its one percent off the handle, not the win, meaning it’s nearly impossible to determine precisely just how much the integrity fee proposal is worth in even Nevada alone. 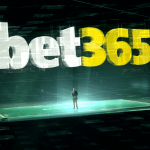 Estimates on how much money is illegally bet on sports each year in the US vary wildly. The AGA believes it’s as much as $150 billion. If that’s true, and say the NBA accounts for as little as just five percent of all wagers, one percent would still equate to $750 million.